Hymn writing is a real challenge, requiring a great deal of practice, because there are so many considerations to be dealt with within a very limited framework. But when all the difficulties have been faced and overcome, it is a very rewarding experience. It is impossible here to do more than scratch at the surface of the matter, but it is hoped that the following topics and observations may be helpful to anyone who is trying to write the text of a good hymn in the hope of having it published. A hymn is a small piece of writing, usually restricted to a series of lined verses in a particular pattern or metre; and it is designed to be sung. Every verse—not just the first one—has to fit the tune; and while the hymn is being sung there is no time available in which to dwell on, or puzzle over, a particular idea or word. Although a hymn may well have hidden meanings within it, which will reveal themselves bit by bit through regular use, the first and obvious meaning has to be immediately clear and intelligible to the user. Many well-intentioned hymns fall at the first hurdle because these aspects of character and structure have not been well thought out. Form is the practical application of structure. And part of the form is that each new verse should build on what went before, and lead on to what comes next; that is to say, there should be a thread of logic, or character, or growth running through the whole structure, if possible with a conclusion which connects in some way with the opening, either as a back-reference, a reiteration, a development or a fulfilment of it. This closes off the form at the end and gives a sense of having arrived at an intended destination. It is important to think about the purpose for which the hymn will be used; not just the physical context but also the stage in the service at which it will be used. At the same time, it is also important to try to contain the ideas to be covered by the hymn, so that they are not wandering all over the place, or trying to do too many jobs at once. This aspect may not be entirely clear at the beginning, but as the work progresses it should be borne in mind at every turn. Biblical subjects work well, and often appeal to those who have the responsibility of choosing the praise list for the day. The writer can stick to one passage of Scripture, or combine one or two. (It is advisable to keep a note of the Scripture reference(s).) Another method of writing is to use a specific topic, such as Praise, Communion, Harvest or the Environment, again being careful to stick to the point. Subjective, experiential writing, which often appeals more to the writer, is very hard to do well, because the personal bits tend to draw too much attention to themselves. (See e. below). This has to be acceptable to the hymn-book compilers. It is too big a subject for this paper, but is one upon which advice could be taken. It is useful to be aware of usual practice. For example, if a hymn makes reference to God the Father and to Jesus the Son, then the compilers of the hymn-book will also be looking for a reference to the Holy Spirit, to complete the Trinity. Although the ideas may grow out of deep personal experiences, if a hymn is to be chosen for publication, it has to be rendered in an objective manner, so that it can mean something to the countless other users who have not had that particular initiating experience. The feelings which give rise to the ideas are important, but if they are too influential in the words the hymn will not stand up to the endless scrutiny to which a published hymn is subjected over a period of many years. Information and impressions given in the hymn have to be a true and accurate reflection of whatever is being described, and not a fanciful one. There is a constant, though often quite subtle, temptation, when caught up in the process of creativity, to apply a rather euphoric attitude across the board, thereby misrepresenting the given situation. For example, even though Jesus sacrificed himself willingly for the salvation of the world, it would not be true to say that Jesus went fearlessly to the cross; and so this impression should not be given. The substance of the hymn needs to belong to the present day. using subject matter that means something to today’s hearers. 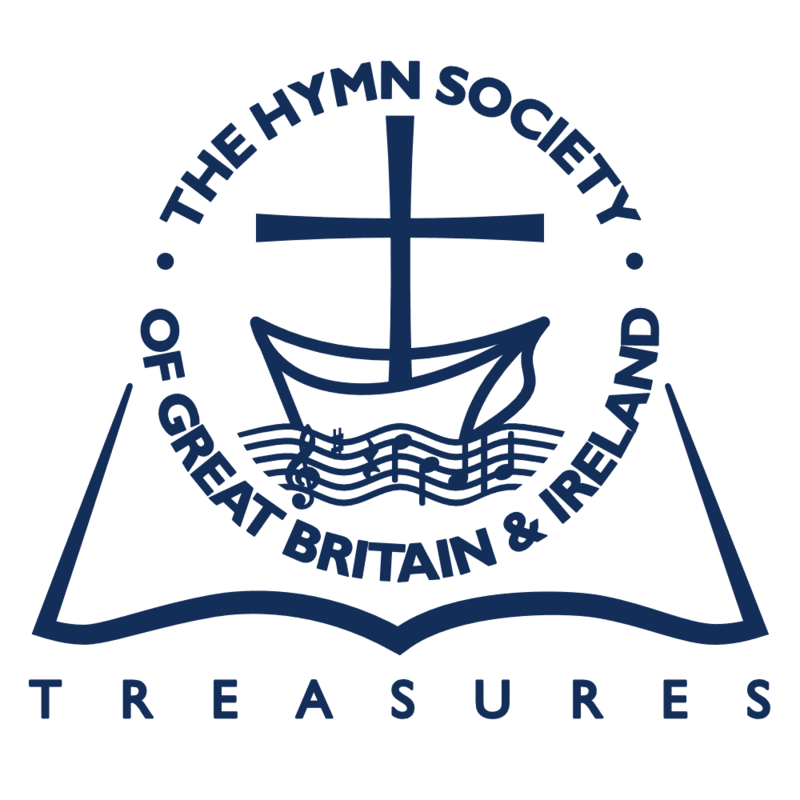 Although references to Biblical names or passages were widely used in the past by hymn writers such as the Wesley brothers, they are not so well understood nowadays, because many users of hymns are new to the church, and do not have the background knowledge available to those who grew up in the church from birth. In other words, the coded messages of old may not work in a modern hymn. There is no point in saying again what has been said already. Many of the hymn ‘classics’ of the past are so well written that they can scarcely be bettered. Today it is a case of finding something fresh and original which reflects Christian life and experience as they are now, not as they were a hundred years ago. Every single word or phrase used should be scrutinized in the most rigorous fashion to make sure that it has a valid meaning today, and that it connects intelligibly with the other neighbouring words and phrases. All religious jargon which automatically trips off the tongue needs to be discarded totally at first. If, in the end, a particular religious phrase is brought back in after that, it must contain within it its own irrefutable logic, namely that this phrase and no other will serve the purpose at this point in the text. Almost every verb or noun used in a hymn constitutes a subject matter. For example, if the hymn begins with an address to Christ, or the words ‘we pray’, then already part of the nature and substance of the hymn have been announced. It is very important to ensure that all the concepts used in the hymn have a clear and close connection with one another, by exercising a firm control and discipline over the material, and by weeding out any stray ideas which might spread out like trailing ivy away from the primary concept which is being handled. Hymns submitted to compilers of hymn-books often fall at this hurdle. A good hymn has a sense of purpose and direction. It should not be an obstacle course! For normal purposes, people use language every day, without thinking very much about it. However, in the case of hymn-writing, there has to be a chosen philosophy of language. What this philosophy is depends on the intended context and purpose of the hymn, but it should be thought out. Nowadays the language chosen should be designed to include everybody; for example it should not exclude women, nor people with disabilities. It may use, for example, ‘humankind’ instead of ‘mankind’. This matters more to some people than to others; but if it constitutes a stumbling block for some people, then it is appropriate for the writer to respect their views. The language for published hymns needs to be literate and not colloquial. Care should be taken to choose language which is appropriate in the written form, and which does not have, interspersed through it, colloquial intrusions. This does not mean that a quotation cannot be used, provided that it is in inverted commas; but it may be quite difficult to import such a form satisfactorily into the hymn. The use of the apostrophe, for example we’re, he’s, is best avoided, as is the duplication of a subject; for example. ‘Jesus, he’s wonderful’. Inversions should also be avoided. The important syllables of the important words should fall on the main stresses of the music. Try tapping out the rhythm of the hymn to find where these points are. In 4/4 time, the first beat of the bar is the primary one, with a secondary stress on the third beat, in 3/4 time, the first beat is the primary one; the other two are lighter. In 6/8 (compound duple) time, the first and fourth beats are the main ones. Rigour in this respect needs to be applied to every verse, not just the first one. Sometimes, a writer fastens on to a nice little formula in which an identical pattern, and sometimes identical, and possibly rather slight, words are repeated over and over again. While it may be thought that this makes the hymn easy and memorable, it has become clear in recent years that users tend to become bored by this type of simplistic material after a short while, probably because the words are so inconsequential that the brain ceases to be active, and the mouth goes on automatic pilot. Memorability and ease of understanding, even of quite difficult ideas, are aided by clarity of language, together with the use of a progressive logic or narrative through the hymn, each verse taking the user further and further in to the concept. Rhythm and rhyme also help to promote memorability. If a hymn is totally unmemorable, it may be because there are weaknesses in the thought and language processes within it. In hymns other than simplistic ones, the writer’s ability, or lack of it, to remember all the words after a lapse of time may well be used as an indicator of the carefulness and clarity of the craftsmanship of the piece. Of course, memorability is not essential to a good hymn; but where it exists, it allows the user to carry the hymn home in the mind, for personal use. Care should be taken to avoid repetition, especially where striking or distinctive nouns or verbs or adjectives are concerned. There is a variety of words available for the Deity. These need to be carefully thought out in relation to the theology, purpose and prospective use of the hymn. The style of writing adopted at the outset of the hymn should run right through it and not change in the middle. The chorus, if used, might have a slightly lighter touch, but it should still be within the chosen style. A good lay-out helps the writing. Look at well-produced hymn-books for ideas. For example, put refrains (choruses) in italics, and indented, and then you do not need to keep writing in the heading for these. Where a line is repeated, simply write (twice) after it. It can be helpful to look at some of the best hymns of today and analyse them in detail, with respect to intellectual and religious content, structure, language and so on. Brian Wren has written some good hymns. One that has gained widespread currency throughout the world is ‘There’s a Spirit in the air’. Another example of a good hymn is Anna Briggs’s ‘We lay our broken world in sorrow at your feet’. They are both to be found in Common Ground, an ecumenical Songbook for All the Churches, published for the Church of Scotland’s ‘Panel on Worship’ by St Andrew Press in 1998. This book is worth looking at to get an idea of the range and variety of material that is being considered by publishers. The standard and quality of the writing do vary, but the pieces in this book did all find their way through the anonymous selection process, whereas countless numbers of other pieces did not. The book also contains a substantial amount of Scottish material. These are just some of the thoughts that spring to mind while looking over submitted material. I am sure there are many more that I have overlooked! While it may seem like rather a daunting list at the outset, an understanding of the importance of these concepts will not only help to promote better hymn writing, but will also prevent much disappointment felt when hymns are not accepted for publication. Hymns, especially in a main-line hymn-book, have to stand up to being looked at, and read and sung through many times over, during a period of years; and if they are not thought out well enough, the editors will not choose them. No attempt has been made here to consider the huge variety of types of hymn-book and Christian song-book being produced today. Obviously, editors adopt policies according to the nature and life-expectancy of the book in question. At the worst, no intending hymn writer is likely to come to harm by studying the ideas outlined above. And at best, not only the writer but also the intended user may well benefit. Writers should always be encouraged to persevere in trying to develop hymn-writing skills. Anyone and everyone is capable of flashes of God-given inspiration or imagination, and no-one knows in advance when such a thing will happen. So often, however, these insights are lost to the hymn-using public because the writer’s understanding of the required technical skills does not match the level of the idea that the writer was attempting to convey. It is hoped that these reflections will help inspiration to prosper in a way that brings refreshment and renewal to the whole church, as well as to individual writers who might be reading this.